Dr. Sunil Pasricha is an experienced and trained Oncopathologist, working as consultant in the department of Pathology, RGCI&RC, Delhi. He is well experienced in reporting the theranostic markers and Molecular tests. 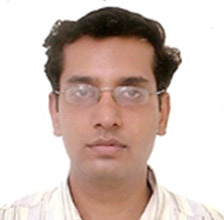 He is also member of Research activity support and screening team for reviewing research projects at RGCI & RC. He has more than 20 publications (International & National) to his credit. Organizing Secretary of international CME - "Lymphoma Update 2016; Essentials & Beyond" March 2016, Delhi and participated as speaker in one of the session. Invited as speaker/panelist/faculty in several national & international CME/ Conferences/Symposium. Lymphomas and Head & Neck Pathology. He has undergone training at CCE (Centre for Cancer Epidemiology), ACTREC, Tata Memorial centre, Mumbai. 2010 - till date - Consultant, RGCI&RC, Delhi. 2008-2010: Two years certified course in Fellowship (Oncopathology), Gujarat Cancer & Research Institute, Ahmedabad. 2005-2008 - Three years of Senior Residency, Delhi.